Happy holidays! I hope this message finds you enjoying the holiday season. I thought it would be a good time to share some of my new artwork with you. 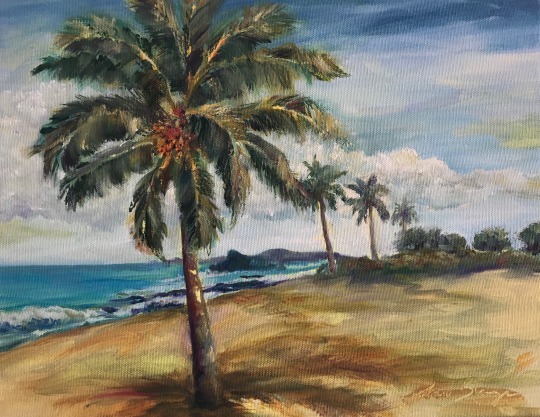 For those of you that are on island, I will mention that I have delivered new artwork to all of my galleries recently, so if you ge a chance, drop in and check them out. They are listed below and on my website at lisabunge.com. 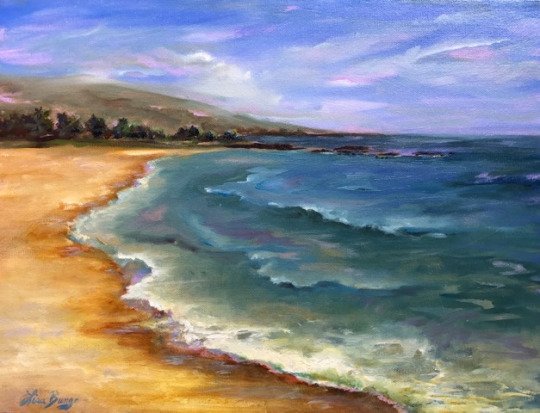 For those of you off island, just know that soon you will be able to see all the giclees and other types of prints that are available on my website, and I will be adding more of my new work. 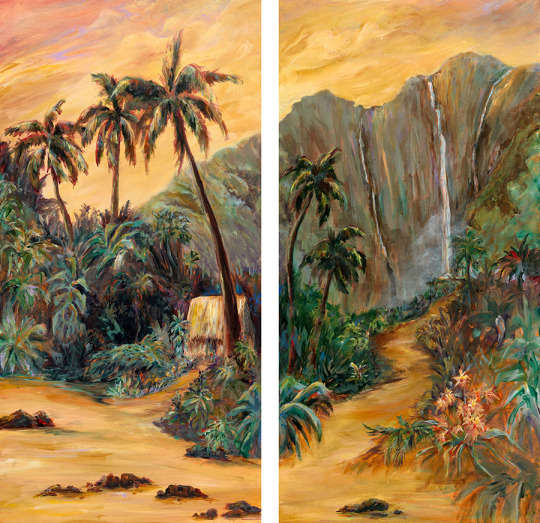 Until then here is a preview…many of you will remember the diptych “Island’s Warm Embrace”. I was lucky enough to be commissioned to do another diptych to go with it and now it has become a quadriptych. That’s a painting that has four parts. 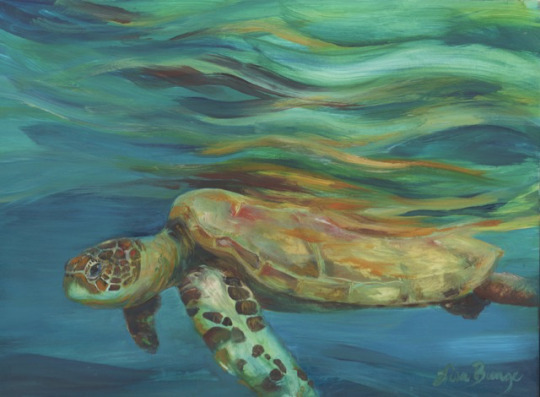 It is available as a limited edition giclee. 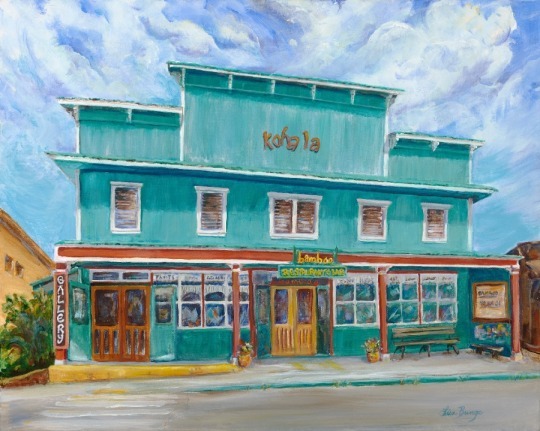 I also completed a painting of the Bamboo Restaurant and Gallery in Hawi. It had a new paint job and you can see the new look in this original acrylic that was painted on canvas. It is available as an open edition giclee on canvas and on paper. Makana O Hawaii at the Mauna Lani Bay Hotel and Bungalows.